Congratulations to Mohammed Othman, CEO of Insurance House, on being chosen one of “The Top 100 CEOs 2018” among all publicly listed companies in GCC, during the Fourth Edition of the TOP CEO Awards & Conference 2018. 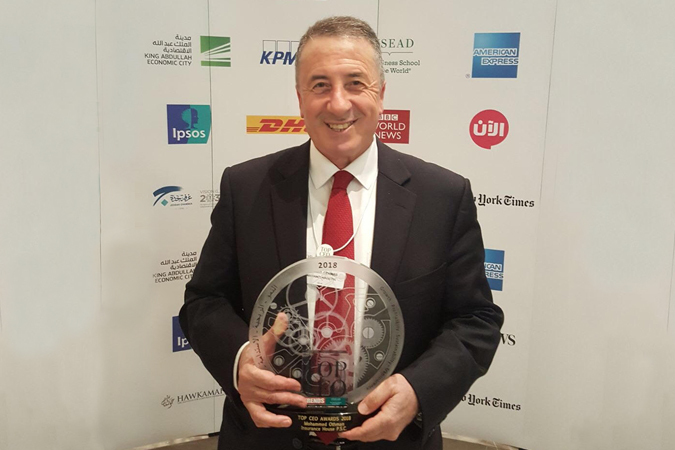 The merit of the award is based on the decision taken by a team of specialists from INSEAD Business School, leading global auditor KPMG and reputable corporate governance institutes in the region, and TRENDS media. The formula is based on hard facts; such as growth, profitability, size, corporate governance and transparency. Wishing Mohammed Othman and Insurance House many more successes ahead.